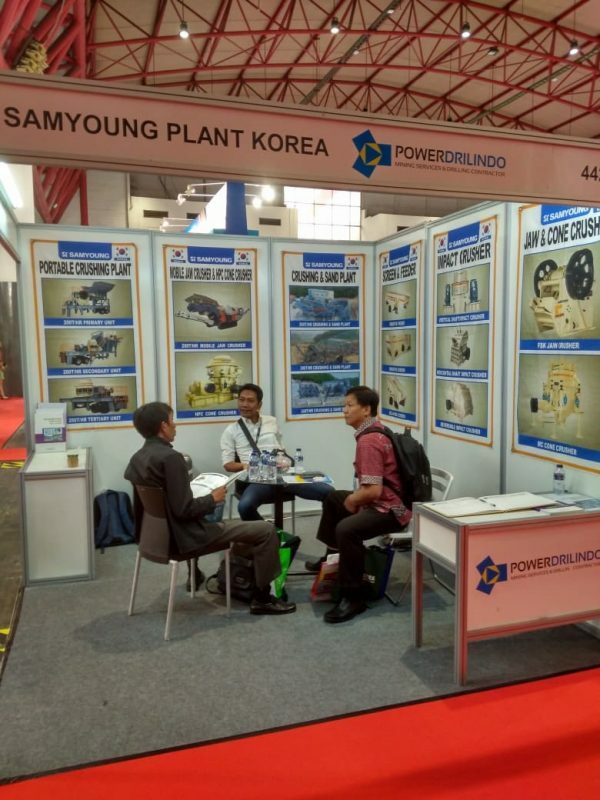 Samyoung Plant Co. Ltd, one of our principals that specialist in Crushing Plant Manufacturer was participated in Construction Indonesia Exhibition on 19-21 September 2018 at JIEXPO Kemayoran Jakarta. PowerDrilindo team was on the spot for assisting the visitors to get information about the products offer. Samyoung plant is the larget and leading crusher manufacturer in Korea, with over 50 years experience since 1960s in crusher business, stone crushers, mining cruhsers and industrial mills.